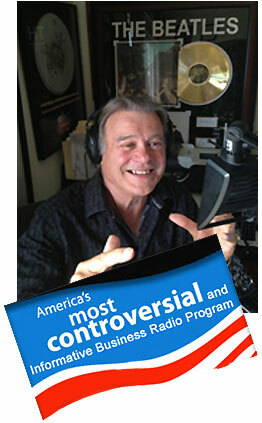 Voice America is the largest producer of original live Internet talk radio programming in the world. Bob Pritchard has 30 years of high-level business experience across five continents, working with Fortune 500 companies, early stage and start up businesses across every discipline of business. His experience includes Chief Executive of publicly listed companies, board positions, business speaker at over 1780 conferences in 64 countries, sharing the platform with the worlds leading business executives. Winner of the ‘International Marketer of the Year’ for the global promotion for “100 Years . . . 100 Movies” celebrating 100 years of American film making. This extensive knowledge and global contact base are the factors that have driven the Bob Pritchard Radio Show to be the #1 business radio show in the world for entrepreneurs. Bob has interviewed over 250 of the world’s most influential business people, entertainers, sportspeople and celebrities about what makes them successful, the challenges they have faced, who inspires them and what makes them tick. Listen to these interview by going to The Bob Pritchard Radio Show archives. Sponsor the show, (3 tops and tails, live :30 second promo, 2 recorded :30 sec promo, 1 X 30 minute interview) $USD 13,000 for 13 weeks. Individual :30 sec slots $USD 750.00 per slot. Broadcast globally live via Internet every Tuesday globally from 5pm to 6pm United States pacific time, 6pm mountain, 7pm central and 8pm eastern. Listen to the live show at 5pm United States Pacific Standard Time Tuesday. Or go to any show in his archives at your leisure. “ The Bob Pritchard Radio Show” is one not to be missed. This show really is “straight talk”… whether your interest is in receiving cutting edge business advice or penetrating interviews asking the tough questions about how to succeed in business with the movers and shakers from the world of Business and Entertainment. Freddie Ravel. Business entrepreneur, musician…Earth, Wind and Fire, Santana. Tim Draper. Creator of Viral Marketing, Investor in Skype, Tesla, Baidu, Hotmail. Dave Gianetto. Legendary Big Data, Social Media and mobile technology specialist.